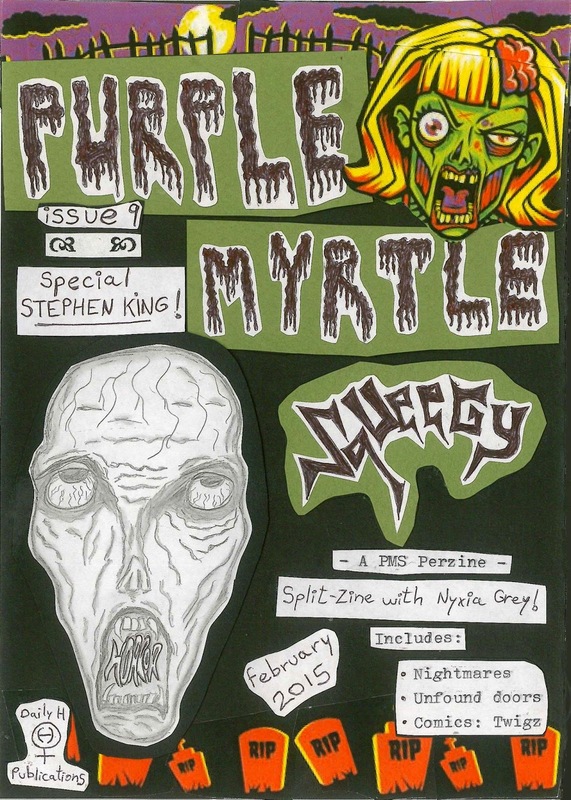 The new issue of Purple Myrtle Squeegy is now printed and available for sale on my Etsy shop. 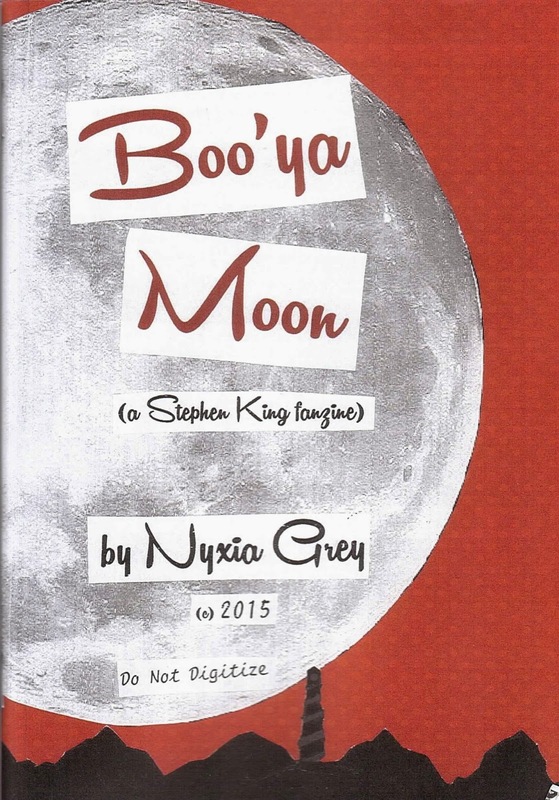 This issue is a split Zine with Nyxia Grey's first issue of Boo'ya Moon. This split zine is a special publication about Stephen King and the mutual love that Nyxia and I share for this master of horror. My part of the zine includes stories about why I love Stephen King, the kind of feelings I get when I read his books, why I love having nightmares caused by Stephen King, a poem about horror, collages, tattoo plans based on the Dark Tower series, and more. Nyxia's part includes pieces on how she identifies with some of Stephen King's characters, what Stephen King has taught her, her experiences with religion and how that compares with Carrie's experiences with her ultra religious mother, many collages and more. Both of us explore Stephen King's feminist side with stories like Carrie, Rose Madder, Lisey's Story, etc. This issue is a glorious 72 pages of sheer horror and blood. 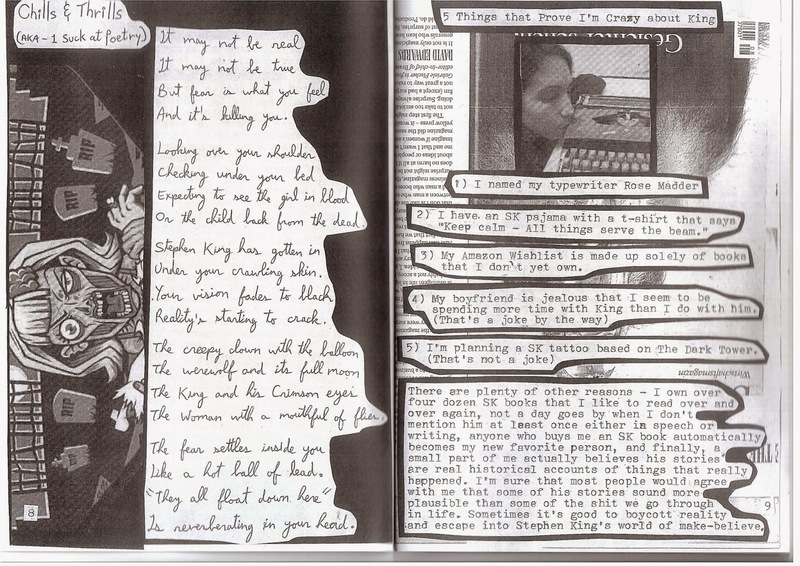 It's a 1/2 size zine, all cut and paste, typewritten and handwritten. The cover is in full color, the inside pages are in black and white. 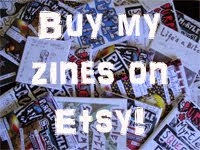 See Nyxia's zines on her Etsy shop here. 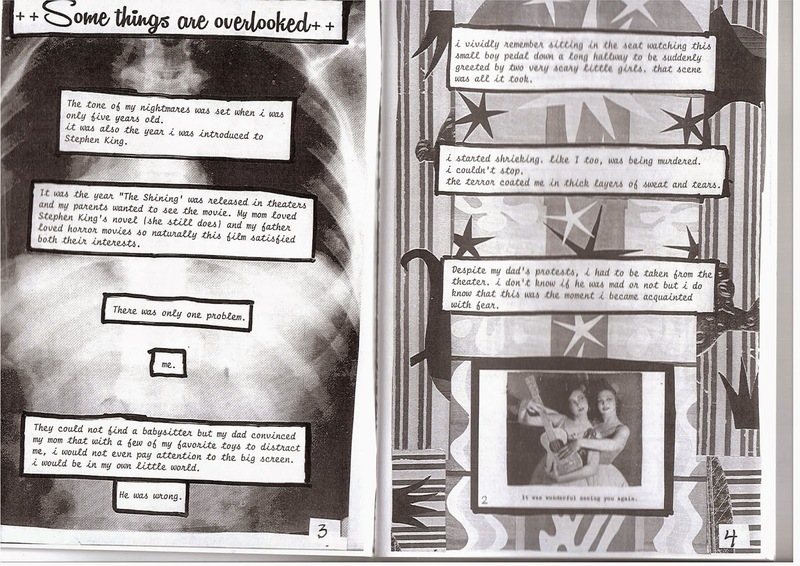 Now for your viewing pleasure, here are some samples from the new zine!